Once you have created a Collection you can upload files to it. The files will then be sent to Assessors to generate assessments via a Campaign. If you have not yet created a Collection, please visit our Create Collection help page first. 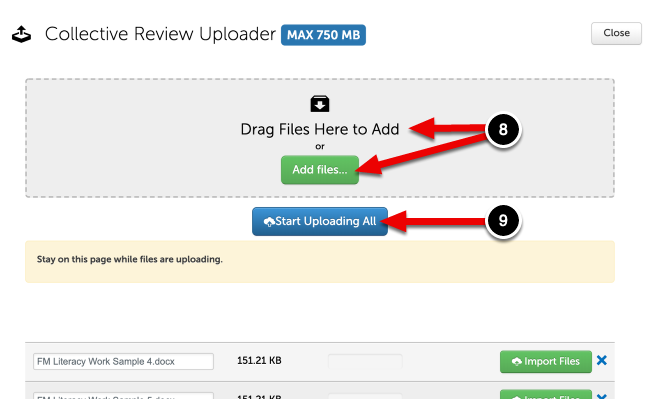 Each file uploaded to a Collection will utiltize one "Upload Only" code. If you require additional "Upload Only" codes, please email sales@chalkandwire.com for assistance. 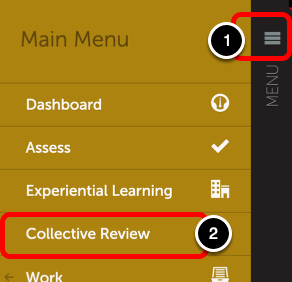 All file types allowed on your 'Uploading' screen can be uploaded to a Collection. There are no required naming conventions for files uploaded to Collections. However, using consistent naming conventions across your uploaded files will allow you to more easily locate desired files when generating assessments for your Campaigns, especially if you plan to manually assign Assessors to files and/or manually select the files. If you are already in your Collection skip to Step 2. Upload Files or Generate Secure URL to Collection below. 6. Click the Add Files button if you wish to upload files directly to the Collection. 7. 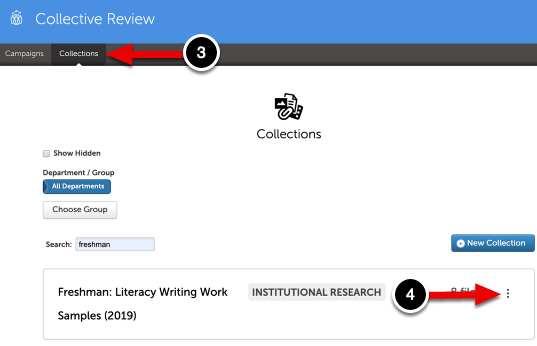 Click the Generate Upload Link button if you wish to generate a secure URL which can be sent to other individuals so that they may contribute files to the Collection, from outside of the Chalk & Wire system. If you select this option, you can ignore the steps below. 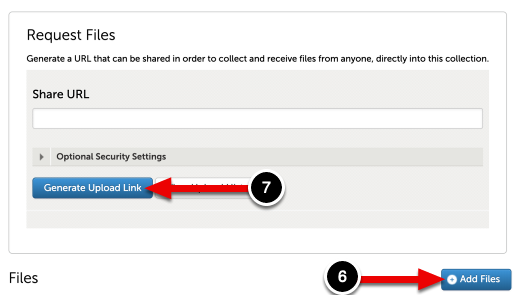 For steps to upload files to a Collection via secure URL visit our Upload Files to Collection via Secure URL help page. 8. 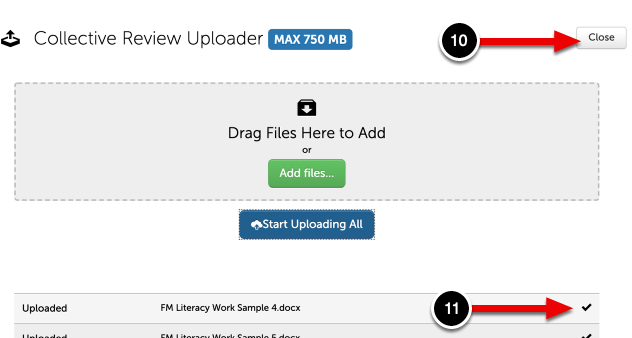 Click the Add Files button, or drag and drop the files into the uploading area. The files will appear below in the queue. 9. Click the Start Uploading All button to begin uploading your files. 10. When the files are finished uploading you will see a checkmark to the right fo their name. 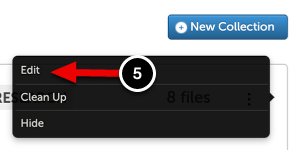 All files uploaded to the Collection (either directly or via secure URL) will appear at the bottom of the screen.